Climate change, increasing pressure on farmland to satisfy the growing demand, and need to ensure environmental quality for agriculture in order to be competitive require an increasing capacity of water management. 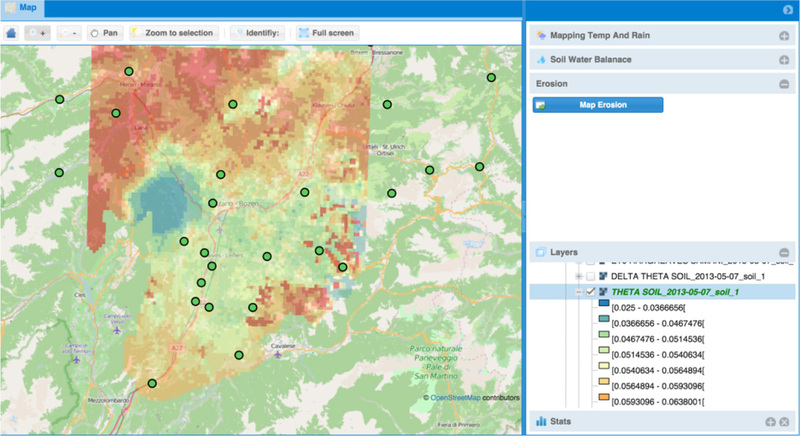 In this context, web-based for forecasting and monitoring the hydrological conditions of topsoil can be an effective means to save water, maximize crop protection and reduce soil loss and the leaching of pollutants. Such tools need to be targeted to the users and be accessible in a simple way in order to allow adequate take up in the practice. 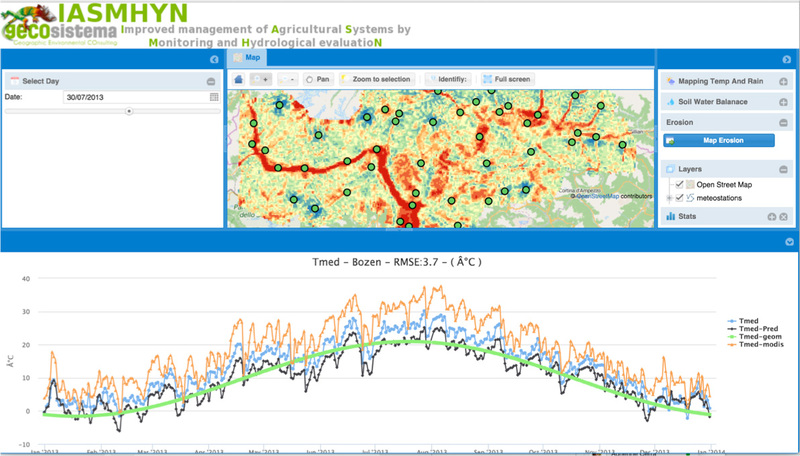 IASMHYN “Improved management of Agricultural Systems by Monitoring and Hydrological evaluation” is a web mapping service designed to provide and update on a daily basis the main water budget variables for farmland management. 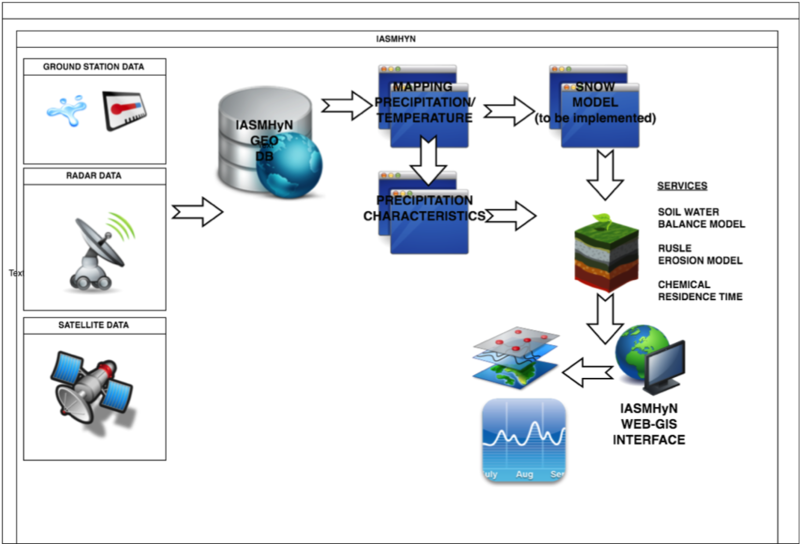 IASMHYN is an instrument for “second level monitoring” that takes into account accurate hydro-meteorological information from ground stations and remote sensing sources, and turns them into practically usable decision variables for precision farming, making use of geostatistical analysis and hydrological models. The tool has been cross-validated with estimates of evapotranspiration and soil water content in agricultural sites in South Tyrol (Italy) in the framework of MONALISA project. A comparison with physical based models, satellite imagery and radar data will allow further generalization of the product. The ultimate goal of the tool is to make available on the market a service that is generally applicable in Europe, using commonly available data, to provide single farmers and organizations effective and up to date information for planning and programming their activities. The assessment of soil water balance is an important variable for managing both agri-practices, irrigation and water resources. Main target users are identified in big/medium size agri-farms focused in implementing digital and smart agriculture, irrigation authorities focused in water resource and network management and water agencies. 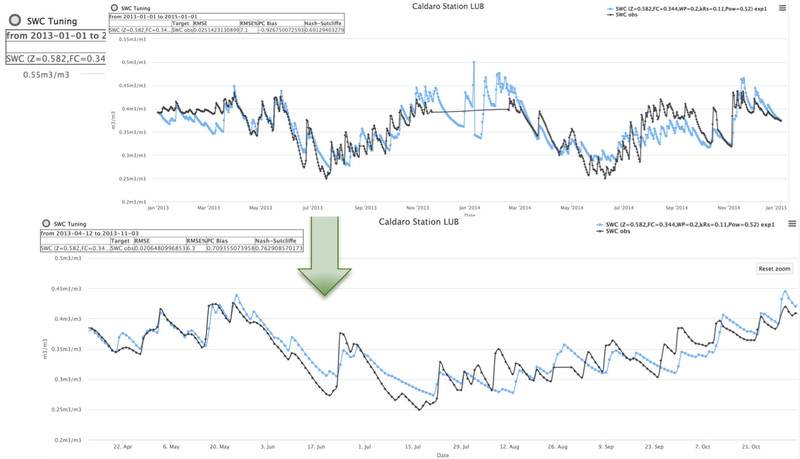 Run of hydrological models to obtain spatial information of hydrological soil variables of immediate interest in agriculture. Residence time of a possible chemical (pesticides, fertilizers) applied to the soil. Thematic real time maps are produced give the user support decision on irrigation, soil management and pesticide/fertilizer application. Find out the IASMHYN demo now!